This beautiful multicolored Eco-Friendly Wooden Doll House from Smart Gear will playfully teach your little ones how to live a more earth friendly lifestyle with themes that include recycling, wind power, planting trees, solar panels, bicycle riding and rain water collecting. 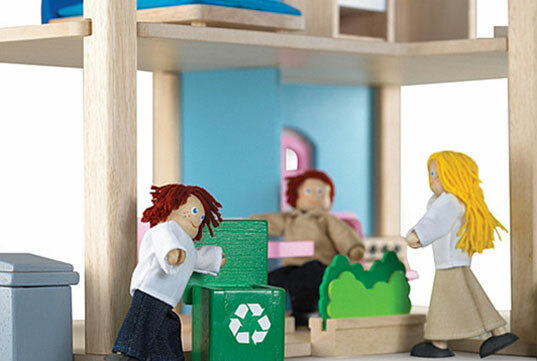 Toys are made with renewable, earth-friendly rubberwood. Toys are colored with only non-toxic, water-based wood paints. 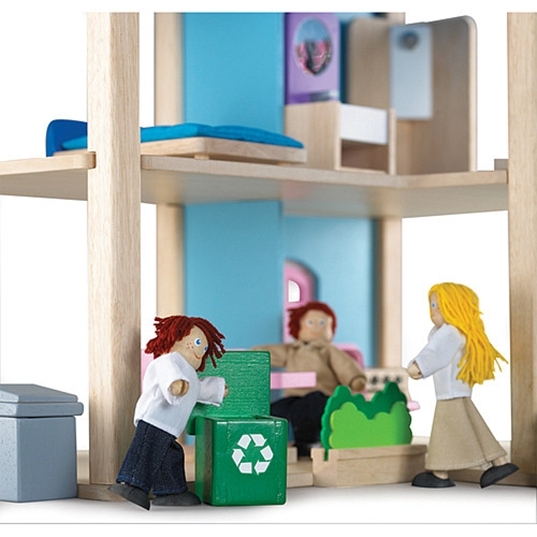 Toy packaging is made with 70% recycled paper. Wonderworld works with non-profits to plant trees – kids can visit Wonderworld’s interactive website to see a satellite image of trees planted due to toy purchases. Wonderworld promotes a P.E.A.C.E message for kids and families.